What makes a great salesperson? I’ve heard this question asked in many different ways by business owners over the last 25 years. I’ve talked with some who gave up on hiring a sales team altogether. One said to me, “I’m just doing sales myself because I am my best salesperson and I’ve spent too much money on unsuccessful people.” I often thought this was just a smaller business problem. However in talking to larger organizations, I find that many of them have similar challenges. 20% of their salespeople create 80% of the revenue and the other 80% of their salespeople are either on their way out or just dead weight. I’m talking about the kind of salesperson that finds new customers, creates opportunities, and matures them to a sale. This is a different role in many ways than an account manager who works with existing accounts to either maintain or expand their relationship with your company. Both roles are necessary in sales and sometimes they overlap. However, the salesperson who brings in new accounts is a different person. We are talking about the proverbial hunter or rainmaker. How do I recognize, attract and hire this type of salesperson? Adhere to the Absolutes – For me absolutes mean you must have integrity. If you are willing to lie to sell, I don’t want you on my team period. You must be able to communicate in writing, one-on-one, and in a group presentation setting. If I am not engaged talking to you, the customer probably won’t be either. You must have emotional intelligence. You must enjoy the process of relating to people, understanding their problems, and helping them find a solution. This seems like a pretty low bar to me, but I have found over the years that 70% of applicants just don’t have it, even when they think they do. Ask Smart Questions – You must know how to ask questions that go beyond the surface to the root of things. So often we ask the surface question, but don’t go beyond to gain understanding and emotion. You must drill down to truly understand. You must wait through the silence. You must gain understanding of the problem and the intricacies of bringing a completely new way of doing things to the people within the organization you want to help. Be Confident Enough to Stand – You must be confident to stand when others are sitting. You must be willing to challenge beliefs that may be holding your prospective customer back. You must be willing to ask for the sale, willing to keep calling until you reach the “know”, and continue to press forward through rejection. You must be willing to propose a different path sometimes for more money because it is right for the customer and to justify and help them understand the “why”. Lead in Service – ActionCoach defines selling as, “professionally helping people buy.” You must lead well to sell well. You must lead your prospective customer in learning what they need to know to make a decision. You must help them to recognize their own situation and need. You may even need to help them understand the competition’s offering. This is almost always very hard, but rewarding. It is about people and not about the stuff you are selling. Have Fun – The most successful salespeople I have been around have fun in the process. You must enjoy the moment when someone sees the light and understands the value. You must make others smile and laugh at you and at their own situation. When people can laugh, you know that you have bridged the gap. 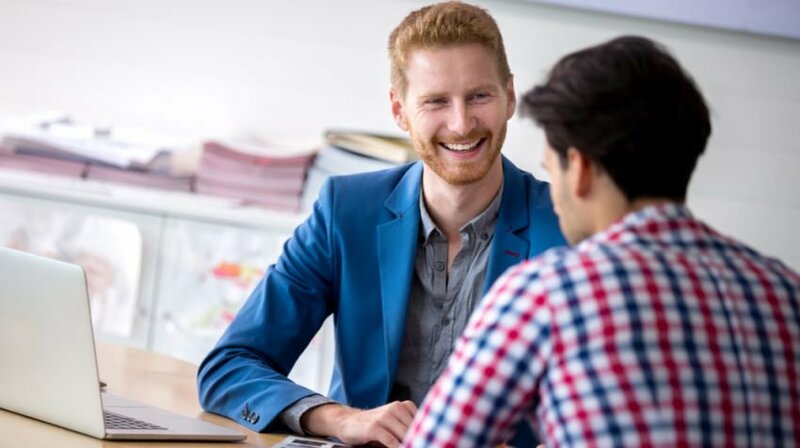 Create Connections – You simply have to connect in order to sell well. So many salespeople are so focused on themselves that they don’t even recognize that they have not created a connection. Have you ever watched a truly successful salesperson in action? I think of a few people I have seen in operations at trade shows. Customers are attracted to them. They approach their booth to give them a hug, tell stories about kids, talk about sports, and share life. A life filled with great relationships is fuller anyway! Never Stop Learning – I’m always amazed by salespeople who don’t read, listen to podcasts, and expand their horizons. This is part of just being interesting, but also part of striving to be better. To excel at sales, you have to be striving, learning, growing, and expanding. To make a connection with an executive level person, you must bring something to the table. Being a learner is the best way to become a valued resource to those you serve. Be Purposeful – So often salespeople are the bright-shiny-lights type which is part of what makes them good at sales, but also presents a challenge. You must learn that time management is essential, and sometime the salesperson’s greatest failing. You must learn that documenting sales steps, though painful, is absolutely necessary. And, that sometimes you just have to grind it out. Without being purposeful, you won’t meet your commitments, and you won’t sell.